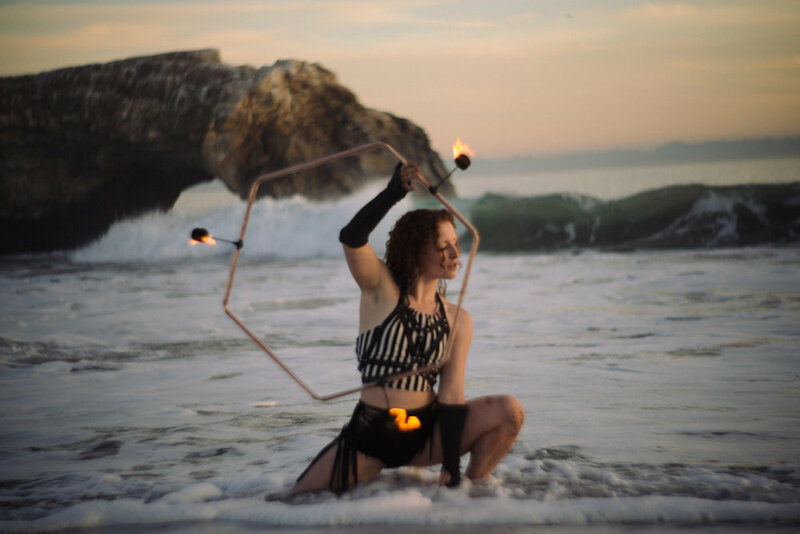 You may find Amy fire spinning at festivals this summer, or making unique hula hoop designs in the south Bay Area. 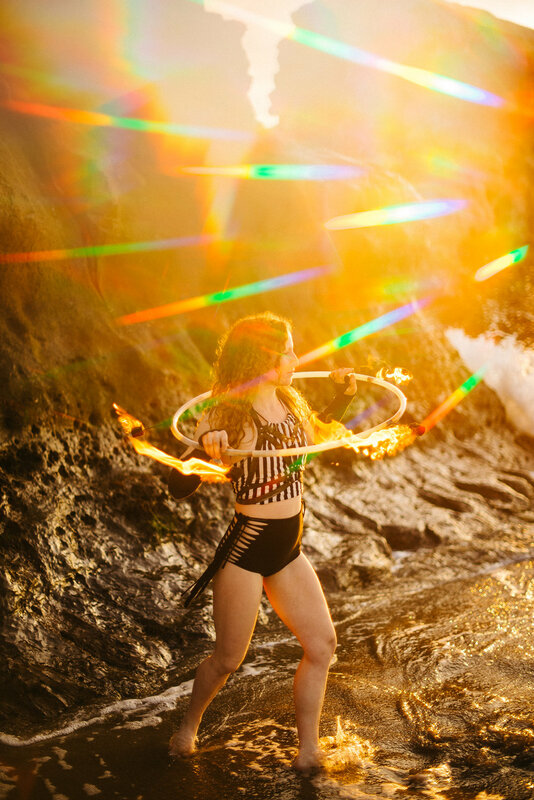 She is a badass and we had an awesome time shooting at Natural Bridges State Park in Santa Cruz, California. 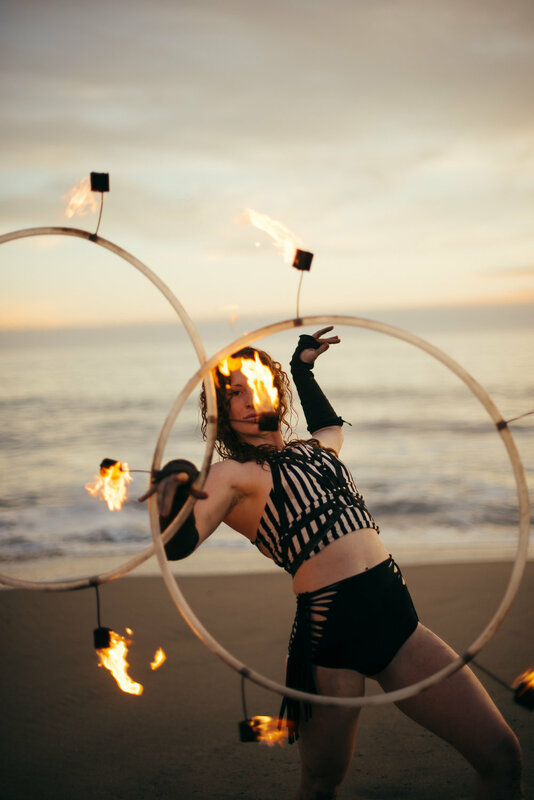 The golden light and sand and salt water on our feet made for an enjoyable experience, as well as putting on a magical show of fire spinning! This was my first time photographing fire spinning and it was quite different than photographing normal hooping and flow arts. Because the fire was HOT and close to her skin, there was much less time for posed shots, and a lot more of invigorating high-speed shooting and spinning!